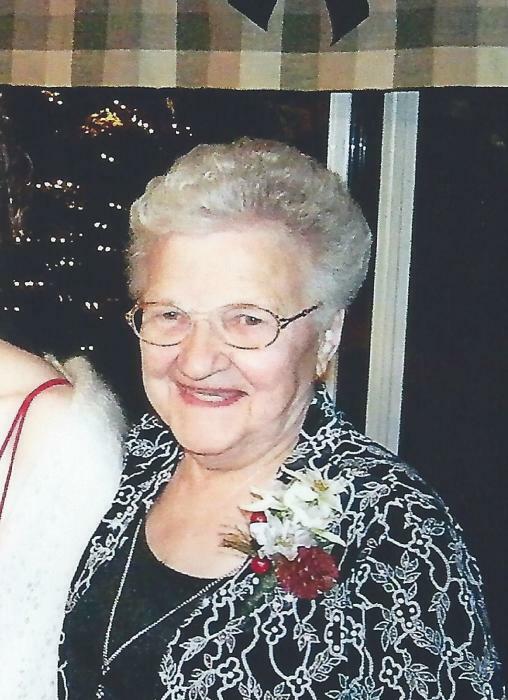 Lorraine I. Sirinek, 80 of Chetek passed away at her daughter’s home Tuesday, April 24, 2018 with her loving family by her side. She was born March 19, 1938 in Chetek, the daughter of Inez (Tubbs) and Clifford Boggess. Lorraine married Ernest Sirinek December 26, 1964 at St. Boniface Catholic Church. Ernie and Lorraine owned and operated their dairy farm from 1964-1998. Together they adopted three children, and raised them on the family farm which remains within the family today. Lorraine was a lifetime member of St. Boniface Catholic Church, head of the prayer chain, and affiliated with the St. Boniface Ladies Guild-St. Teresa Circle, was a reader and greeter at Sunday Mass. She was an avid reader and supported her grandchildren at any events and activities. Lorraine is survived by her children; Lisa Utke, Joyel (Mark) Metcalf, Clarence Sirinek, seven grandchildren; Collin Utke, Justin Utke, Elisabeth Patrow, Adam Utke, Ted Utke, Gracelyn Priest, David Metcalf, sister; Diane (Jerry) DeMars, brother; Ronald (Andy) Boggess, sister-in-laws; Bonnie Boggess, Sharon Boggess, Charlotte Boggess, brother-in-law; Russ Plummer and many nieces, nephews and friends. She is preceded in death by her parents, husband; Ernie, brothers; Arlyn, Kenny, Delmer, Darrel Boggess, sisters; Delores Evans and Arlys Plummer. A Mass of Christian Burial will be 1:00 P.M. Monday, April 30, 2018 at St. Boniface Catholic Church. Visitation for Lorraine will be held at the funeral home from 4:00-7:00 P.M. Sunday, April 29, 2018 and again one hour prior to Mass on Monday. She will be laid to rest beside her husband at St. Boniface Cemetery following the Mass. Please join the family for continued fellowship and a luncheon at church after the interment.